Identity Revolution Project: Substance Of Life is.. 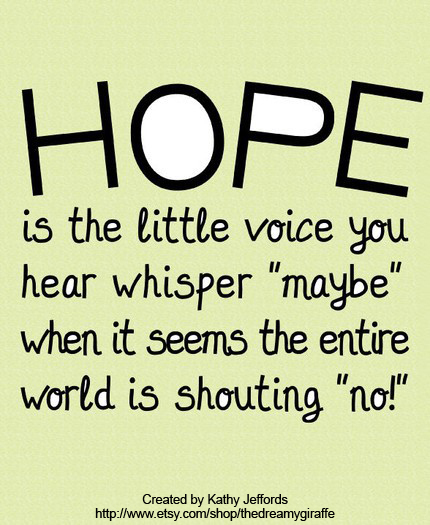 The substance of life is hope. Hope keeps you going, it keeps you focused and living. For some hope was the last option right before suicide. 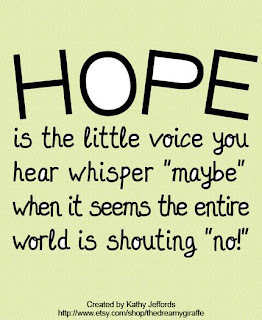 Hope helped 2 people trapped in rumble in Haiti at the time of the earthquake. They had hope they would be found and continue life on. They fed, live, and thrived on hope which is what kept them alive. Telling someone "there's still hope" can touch someone deeply. That same person that's always positive and bubbly at school, could be the same one going through a tough time. Cutting, and self-abuse can be an issue for anyone, even for the on who seems to have their life together. The definition of hope is the feeling that what is wanted can be had or that events will turn out for the best. Just having a feeling that you get out the ghetto, or that abusive relationship, or out of a bad situation is the only step of faith you need to have hope. Once you have hope your closer to becoming the you you've want to be already. When life throws you those curve balls of despair or pain, just remember have hope it WILL get better.